For a Salesforce Admin, it often feels like data is the bane of our existence! 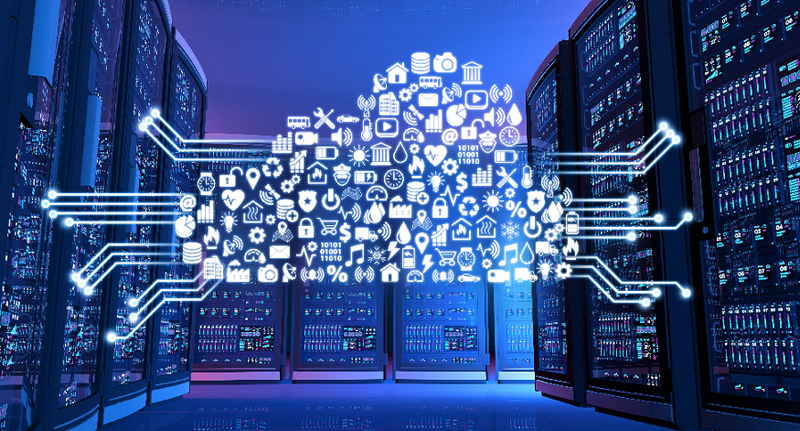 Whether you are importing a new list, updating existing data, or deleting records, data management is an essential part of Salesforce administration and it is often the most troublesome and monotonous task as well. While there are different options for managing your data, there are two primary tools. 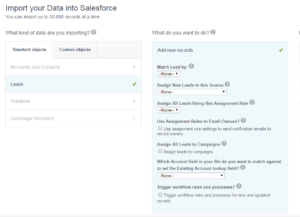 The first option is Data Loader which is a desktop tool requiring installation that interacts with Salesforce through the API. The second primary option is Import Wizard which is a tool found in the Salesforce Setup menu, where you can import data directly into Salesforce with no installation required. Does your Salesforce Edition support API? 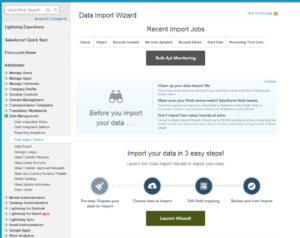 Import Wizard does not require API access, while Data Loader will not work without the API. Typically, API is included with Enterprise Edition and above, though it is available at a cost for lower editions. How much data are you importing or updating? Administrators can import up to 50,000 records using the Import Wizard. Data Loader allows imports up to 5,000,000. If your new list or update file contains more than 50,000 records, you will need to use Data Loader. Which object does your data belong to? Import Wizard supports the standard objects Account, Contact, Lead and Solution, as well as custom objects. Data Loader supports all standard and custom objects. Do you need to delete a large number of specific records? Import Wizard does not support record deletion. If you have a large file of records that need to be deleted, use the Data Loader. Does the data you are importing contain possible duplicates? Import Wizard enables you to ignore duplicates based on certain fields. This is helpful if you don’t want to have to check whether any of the leads in your new list already exist in the database. If you are using Data Loader, you will need to cross reference your file against the database before import. Does your data need special handling after import? Import Wizard offers data handling options, such as assigning new leads based on active assignment rules and choosing whether to run workflows on your data after import. Data Loader does not offer these options. 1. One of our customers sent an Excel file with 3,000 new leads. They were not sure whether any of the leads existed in Salesforce. By importing the leads with the Import Wizard and choosing “Match Leads by Email Address”, we imported the file successfully and avoided creating duplicates in the customer’s database. 2. This same customer sent another Excel file with 300 closed cases from their retired support software program and requested they be uploaded to Salesforce. Because the Import Wizard does not support the case object, we used the Data Loader to load the case records. In order to match the cases to the correct account, we first exported a list of accounts with ID and matched the case records to the existing accounts. 3. Another one of our customers provided an Excel file with 500 leads that had updated information, including phone number, email address, and job title. Because some of the email addresses had been changed, it was not possible to match the leads by email. For this reason, it was important that the update file included the lead ID. Though it would have been possible to update these leads in either the Import Wizard or the Data Loader, we chose the Import Wizard because the number of records was less than 50,000, and because the customer wanted the updated leads to be assigned based on lead assignment rules. While data management is certainly not the most fascinating part of a Salesforce admin’s work, it is essential. Understanding how to choose the right tool based upon your needs for a specific import is critical in making the right choice and having a successful data import or migration. If you need assistance with a data migration or Salesforce implementation, do not hesitate to reach out to us at salesforcesuccess@bayforce.com.